March is the beginning of spring. Temperatures are starting to warm up. Daylight savings has gone into effect and the days are starting to become longer. 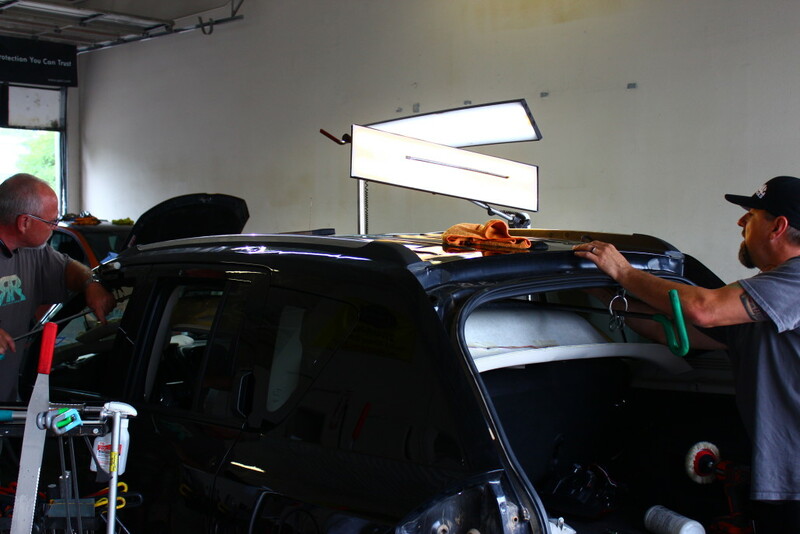 Your car has accumulated all types of dust, dirt, grime and spills on the inside. You have mud and dirt caked outside and your paint is looking dull. things that you thought you lost in seat cushions or under the seat. Then we will complete shampoo your car’s interior from top to bottom. Removing all the dirt grime and germs with our hot vapor steamer and hot water extraction machines. You leather will be cleaned and conditioned just like a Baseball player prepares his glove for spring training. Outside will gently wash away the winter blues from your paint and chrome trim with a thorough decontamination wash. This will prepare the paint for a spectacular polishing job. The polishing will bring back that new car shine making you fall in love with it all over again. Wheels and tires won’t be forgotten and will receive special treatment as well. Sometimes after a car’s restored to like new condition small dings and dents become visible. This is not a problem. 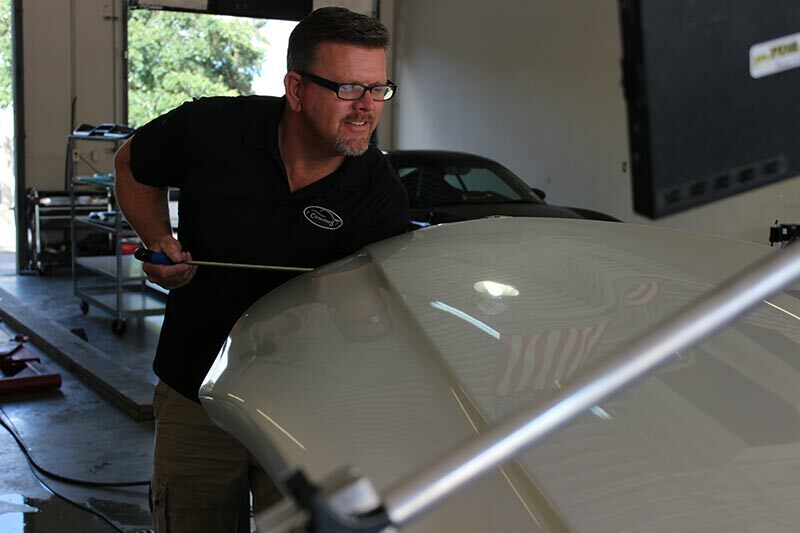 Concours Auto Salon’s expert paintless dent repair tech has been repairing dings and dents for over a decade here in San Antonio. In as little as 30 minutes those minor bumps and dents can be removed without the need for paint or body fillers. April showers bring may flowers. However they won’t wash away the dirt from winter. Don’t wait for the rain to stop. Get your car cleaned at Concours Auto Salon and watch the raindrops dance on the paint.